If you like to keep it as simple as possible and don’t want to sew, you have another option. 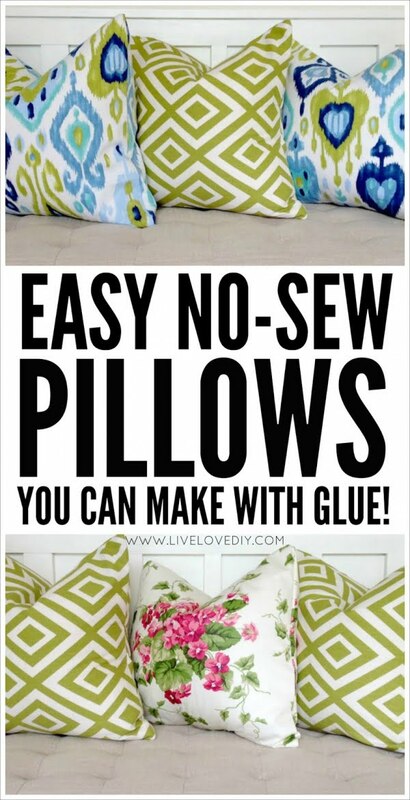 This tutorial shows you how to make easy pillow covers with glue. Use fabric you love and make adorable decorative pillows for your home. Repurposing is always a good idea as you save on buying new materials and the results is often unexpectedly beautiful. Such is the case with sweater pillow covers. 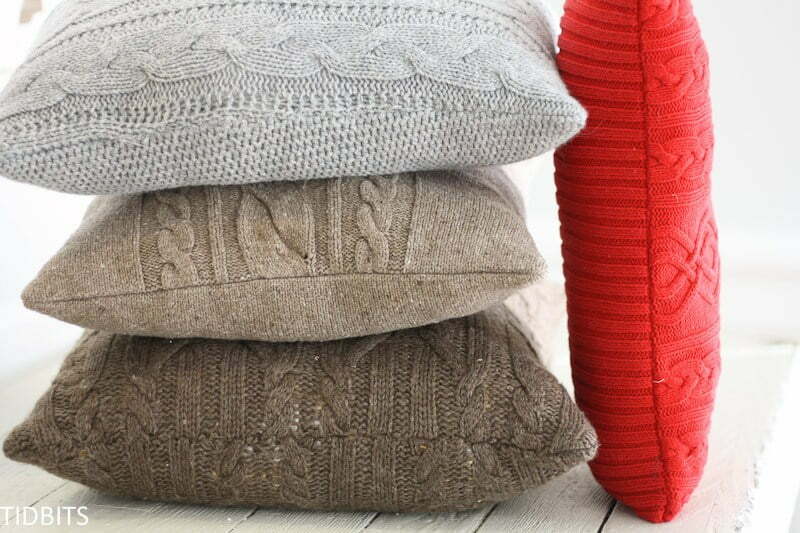 Get that knitted cover look with very little effort. 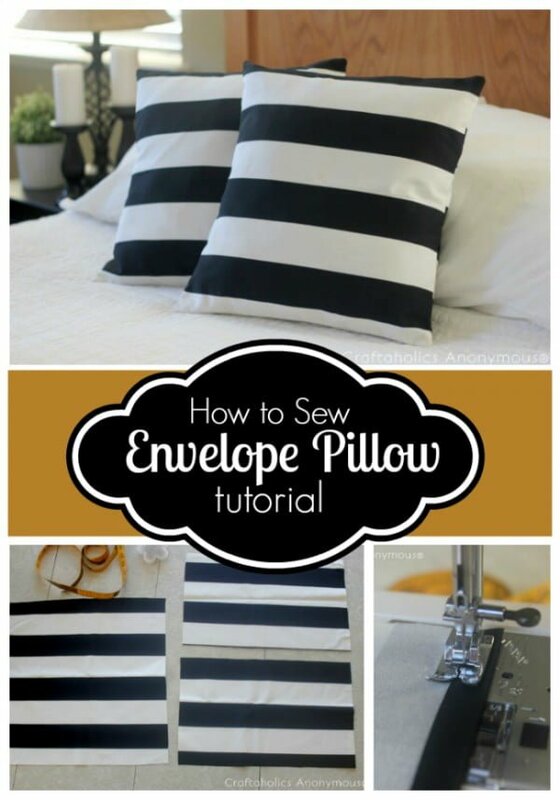 If you like sewing, here’s how you can make your own envelope pillow covers. The tutorial makes it very simple in explaining the process. The possibilities are endless once you master it. Another project with repurposed materials. 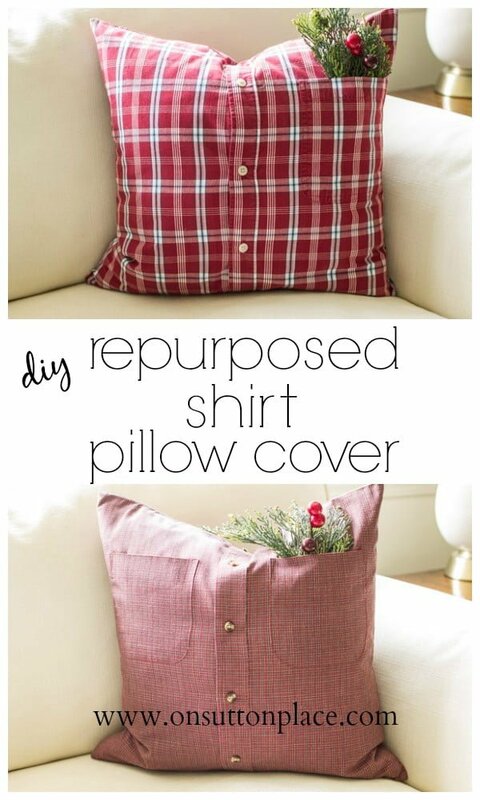 Old shirts can make adorable pillow cases. They’re chic and whimsical – a lovely addition to your home decor. Quilted pillow covers is another option you have for a little DIY project. Follow this tutorial to see how easy it is to make your own decorative pillows. You can make lots of great DIY home decor projects from stuff you find in Dollar Store and it turns out to be really inexpensive. 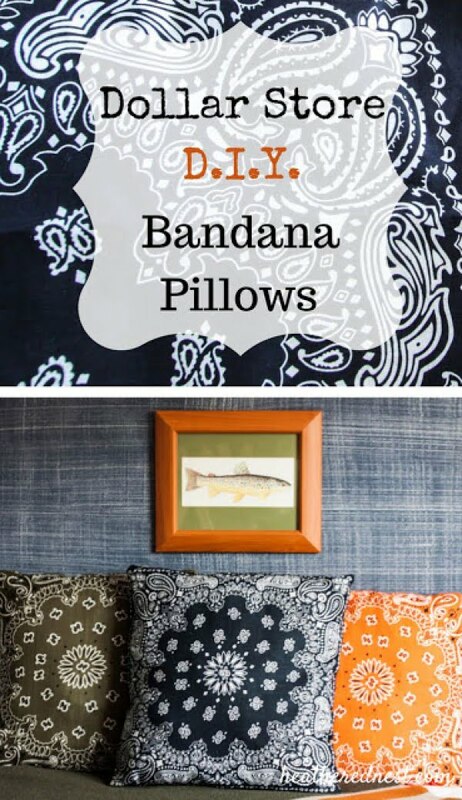 Use bandanas for pillow covers? Love the idea! If you have an artistic spirit, you’ll always want to add that personal touch to everything you make. So take an empty canvas for a decorative pillow and create your own art. Another great option for a no sew pillow case. All you need to have is a piece of fabric and use this very simple yet great folding technique. Do you need an extra shabby chic accent in your decor? You’ll love what you can make with this raffle cover technique. A cheap blanket makes two simple but lovely pillow covers. It’s so simple and cute, you’ll love doing this DIY project.